Otahpiaaki is modelling change with grace, beauty and confidence. Otahpiaaki 2017: Indigenous Beauty, Fashion, and Design week is set to kick off at Mount Royal University on September 18. In its second year, the initiative gives Indigenous models and designers, from the Blackfoot and Treaty 7 community, a chance to showcase their talents to the public. Patti Derbyshire, a faculty champion from the Otahpiaaki project, says it’s not only an opportunity for professional models but for individuals from the community who are looking at a career in modeling as well. “Last year, we ended up with a balance of professionals and non-professionals, it worked really well,” she adds. Modeling amongst First Nations is a growing trend. Rodrick Rabbitskin is the founder of Dream PK Modelling, where he runs a 10-week program in Saskatoon, Sask. The program focuses on key areas of modelling such as posing for pictures and walking down the runway. But the main motivation is to help youth fight their own self-esteem issues. Rabbitskin was a shy person growing up on the Big River First Nation in Saskatchewan. He was often reluctant to interact with people and avoided huge crowds and was struggling to find a positive self-image. Despite all this, he decided to take a leap of faith and try modelling. “I found myself through modelling and found my confidence through modelling,” Rabbitskin said. He noticed a huge change in himself after he began modelling, and wondered if it could bring the same effect to other youth in his community who might be dealing with the same issues. That’s when he started this modelling program as an extracurricular activity for youth. He was astonished to see it become a success and noticed his students were more outgoing, especially outside of the program. 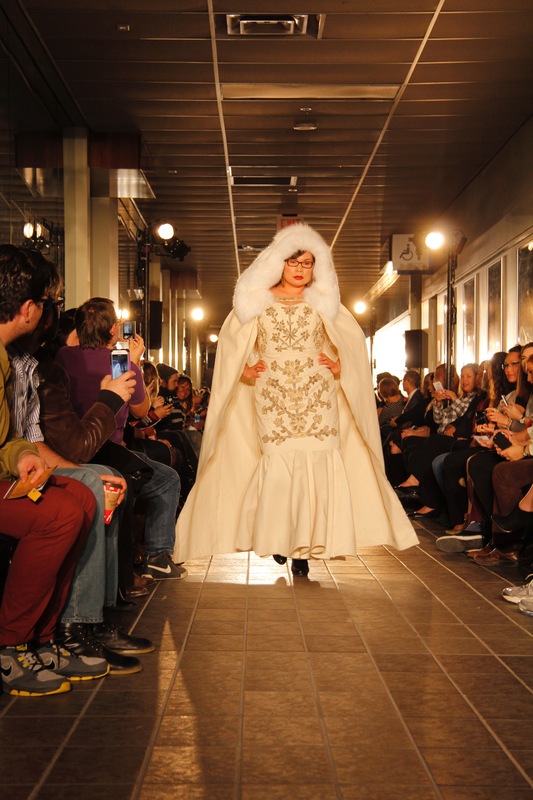 After the completion of the program, he took his idea to Saskatoon where he completed a huge fashion show featuring entertainers and local designers. The agency has now completed three 10-week programs since they started and many of their models have now become mentors for youth while some have gone on to continue modelling. Kerrie Moore, a therapist at the University of Calgary, says the reason why so many First Nations people have low self-esteem is because they suffer from multi-generational trauma. Multi-generational trauma has stemmed from the abuse and neglect First Nations went through when their ancestors were forced into residential schools. “All of us as Indigenous people suffer trauma, even if we aren’t residential school survivors,” Moore said. During the residential school era, children were taken from their families and stripped of their culture. “When you have a disconnection from your family, you don’t have the understanding of what it is to belong,” Moore said. She further explained without knowing what it is like to belong, you don’t know what it is to be loved and that creates huge attachment issues. “When those children came back from residential schools, they could only practice what they learned, so they learned that everyone was better than they were,” Moore added. This way of thinking was passed on from one generation to another. Amelia Boissoneau, a 17-year-old First Nation model, has been interested in modelling since she was a child. In 2016, Global Indigenous Runway was in Saskatoon to seek young people interested in modelling and Boissoneau was fortunate enough to land a spot with them for their runway show in September. Since her first show with Global Indigenous Runway, Boissoneau has participated in a show in New York and just completed her third show in March. She explained that last year, she was shy and didn’t have high self-esteem, so applying for something like this seemed like a crazy idea for her. “I’ve completely fallen in love with [modelling] and it’s just been a crazy journey for me so far,” Boissoneau said. Brandy Sangwais is a stylist from Calgary who worked with Rabbitskin and Dream P,K Modeling in the past. She says there are a lot of sport programs that can help youth, but the city is lacking programs that are related to the fashion world. “I think it’s really needed in this area. It’s new, it’s emerging, it’s kind of like a modern-day self-esteem project,” Sangwais said. After working with Dream PK for a couple of fashion shows she said it was amazing to see the confidence boosts in some of the models after they walked the runway. Boissoneau says that modelling has improved her self-esteem and self-image and believes Dream PK is a fantastic idea to help others improve their confidence. “I think that it provides them good life skills that will help them along the way, especially when they are older,” Boissoneau said. 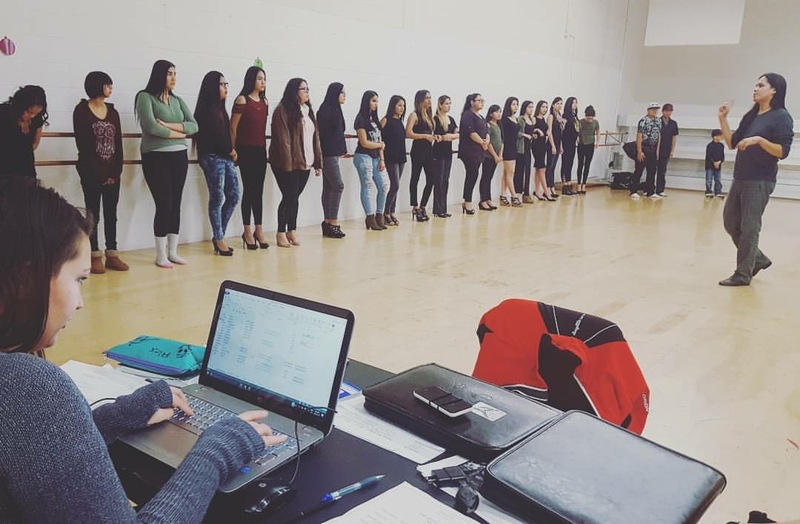 With the need for models from the Indigenous community increasing, Otahpiaaki 2017: Indigenous Beauty, Fashion, and Design week requirements have jumped from casting 12 participants last year to 54 models for this year’s runways. The showcases will take place beneath the David Crowchild Memorial in the City Hall Atrium downtown September 21, 22, 23rd. Workshops with designers run at Mount Royal University on Mainstreet September 18th to the 21st.